Saturday, June 23, 2018, 8 – 9:30 p.m.
A Griot is a West African tradition where storytellers and musicians preserve culture and tradition. Featuring Nikkita Oliver, Tia Yarbrough, and Vitamin D aka Derrick Brown. Registration is required. The Griot Party Experience was created by the Visionary Learner Logic Amen. 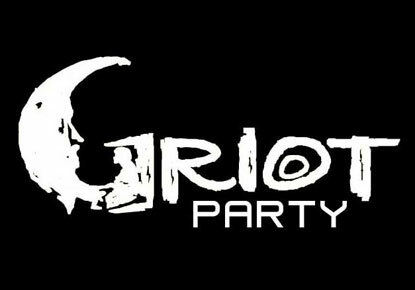 The Griot Party Experience is a unique delivery of storytelling that includes music, dancing, spoken word and theater. It is a safe and sacred place for storytellers to feel, heal, Build and grow. It is spoken word storytelling theater at its finest. It is the combination of the happiest and saddest moments in our lives. It’s about giving birth. It’s about living. It’s about dying. It’s about transformation. It’s about Union. It’s the celebration of both mourning and triumph. Feel. Heal. Build. Grow. Performers will include Nikkita Oliver, Jamie Elmore, Tia Yarbrough, Vitamin D aka Derrick Brown, Logic Amen, Elijah Mu’ied, and Ibrahim Arsalan. Doors open at 7 p.m., performance begins at 8 p.m. Presented in partnership with Northwest African American Museum and The Griot Party Experience. This event is supported by The Seattle Public Library Foundation. Library events and programs are free and everyone is welcome. Online registration is required.